Tasting Note: Made from a Blend of Natural Mint Oils & Key Lime Juice! Do you love mojitos but hate finding and muddling fresh mint? We’ve taken the mystery out of creating this classic Cuban cocktail at home. 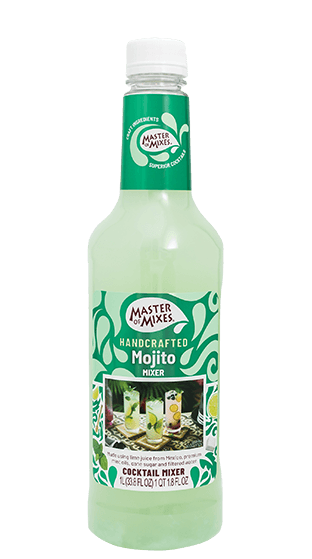 Master of Mixes Mojito Mix was crafted using scratch ingredients such as natural spearmint, cane sugar and lime juice to give you a perfectly blended mojito mix. Simply add light rum and club soda and Salute!